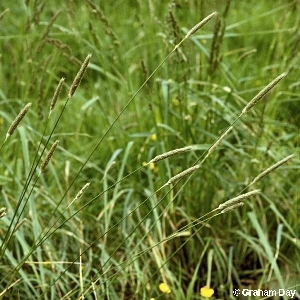 A very common and abundant grass of meadows and pastures, erect-growing to about three feet in height. 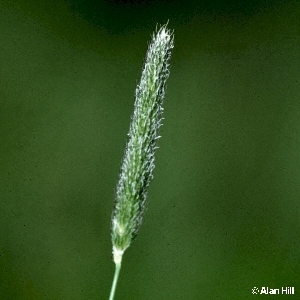 The flowers and spikelets are tightly packed into a cylindrical unbranched spike at the top of the shoots. 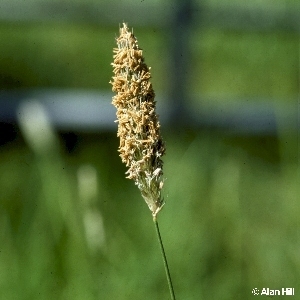 All names: Alopecurus pratensis L.